Our company offers top quality toothbrushes to dental professionals at a fraction of the cost of major brand name manufacturers. All brushes are made in the USA with Dupont Tynex®, end-rounded bristles. 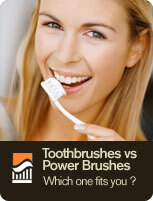 Cut your toothbrush budget by up to 50% with low-cost, premium brushes from Dental Elite! For as low as 46 cents per brush, we can offer your patients excellent quality while saving your practice thousands of dollars. To see our full line of products, click here. To request free samples for your dental office, click here.